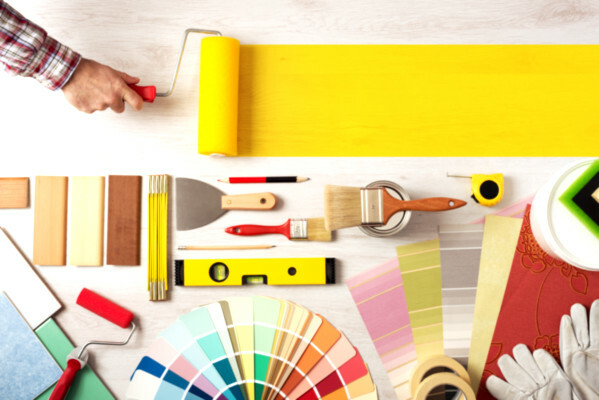 The booming real estate industry in the Philippines is an indication that there are a lot of opportunities out there for you to offer your talent in home decorating. Even e-commerce websites that offer real estate property listings compete with each other and one good example is Lamudi Philippines, which just shows enough evidence that when you dive into having your own home decorating business, it just means that your potential clientele will not be zero. As a newbie home decorator, you can always start with small projects. And if you really wish to be a licensed Interior Designer, you have to take up this course and choose one of the best schools that offer a degree in Interior Design. Before you start your home decorating business, you must first learn about the craft of interior design as much as you can. Since you’re still a newbie, make sure to first target small projects so you do not become overwhelmed with the pressure and stress of large projects. Try to enroll yourself in a formal education or take up short courses that will help you obtain concrete training and experience. Potential clients will look into your credentials and will give you more trust if you have proof that you have credentials and are well trained. Since you’re going to do a home decorating business, it would help a lot when you visit model homes sold by real estate companies or those fully furnished homes that are either for rent or for sale. You have to take down notes and make sure to write down the positive and negative things that you see. Pay attention to every detail from planning, style, space utilization, lighting, color schemes, and combinations. Make sure that you are up to date with new trends and concepts about home decorating ideas. Home design magazines along with other forms of resource like videos and interior design blogs can help you a lot. Understand your space and lighting elements, how they work, and remember that decorating is both visual and physical. Elements of design include balance, emphasis, movement, and patterns. You may already have the talent and the imagination to do your own designs. However, you still need to practice as much as you can. Since you don’t have a market yet, you can try doing it in your own home, or volunteer for a friend or a relative’s home. You can also join groups that have the same interests and exchange ideas and find possible opportunities to practice your skills. Develop your own sense of style and be artistically unique. Be innovative and try to research as much as you can about different types of materials that are available in the market. Try to showcase your own handmade arts and crafts for an extra personalized touch. Create a unique branding image and business name that will catch the attention of your target market. Read relevant tips on how to name your business. Once you are decided, obtain all the necessary business permits, licenses, and insurance. If you have already started in your own home or did some small projects and volunteered decorating for friends and family, take high resolution photos and make sure that they are added to your portfolio. Hire a professional photographer if possible. Create a presentation of your work in print and take advantage of having an online presence. Start sourcing for materials and equipment that you need to use for your projects. You have to make sure that you maximize your options and choose the best with reasonable pricing without compromising quality. Direct suppliers and vendors are the best options instead of going through a middleman. Do some research, ask the right people, and never be afraid to make inquiries. It is best to be friendly and be known as a good and paying buyer and good business relationships can help in business success. The price of your services and materials that you use are also determinants of your success. You have to remember not to price too low or overprice as well. You do not want your clients to have an impression that you are either too cheap or too expensive. If you are going to hire extra helpers, make sure to include manpower in your price. Include the number of labor hours and the size of the project that you’re going to take. Make sure that you have a timeline for everything that includes delivery of materials and monitor that your workers are on schedule. Your personal mark up is typically 15% of the total fee. Being part of a network with the right people can be a good way to obtain business referrals. Create your own website or ask someone to help you and make use of social media websites to improve your online presence. Ask your family and friends to help you by giving their own testimonials. Make sure that you have your business cards and brochures available to hand out for potential clients. Have yourself listed in yellow pages, magazines, journals, and different publications. The more active and visible you are, the better exposure you’ll have. When you know that you have the talent of being really creative and artistic and your instincts are telling you that you ought to start your own home decorating business; then it might be the right time to really do it and make your dream into a reality.